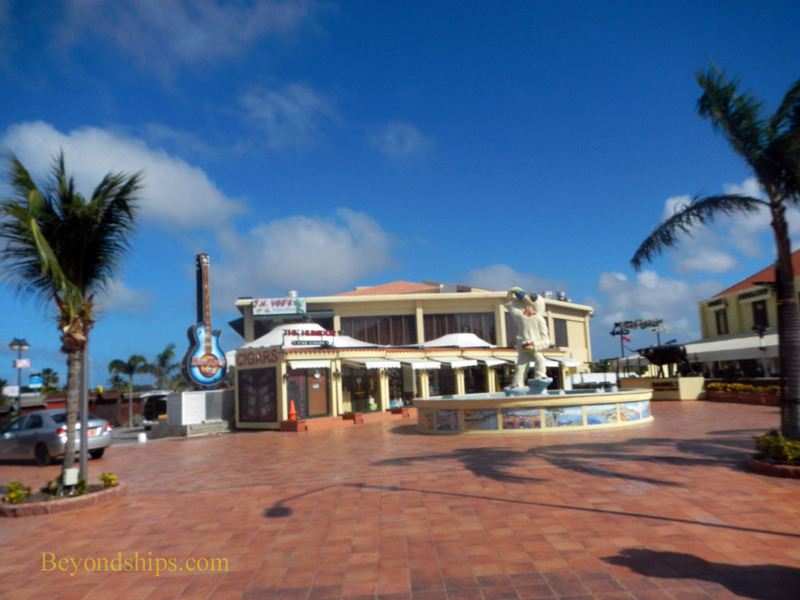 The main shopping area of the island is In Oranjestad and begins just outside the entrance to the cruise port. Directly across from the entrance to the cruise port is a local market with temporary stands selling local items and souvenirs. Further along L.G. Smith Boulevard are permanent stalls offering similar merchandise. Walking along L.G. Smith Boulevard you pass a wide range of stores. 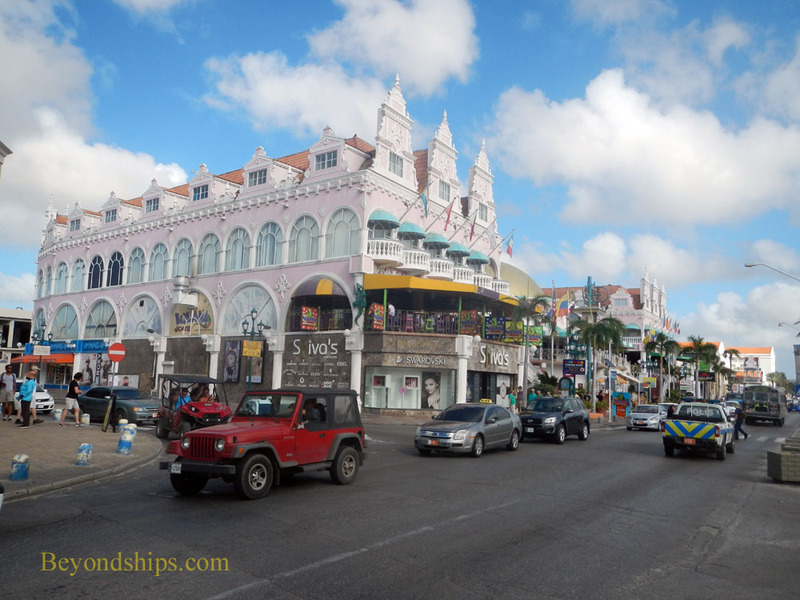 These include ultra-luxury high end boutiques, the jewelry and fashion chain stores that seemingly have outlets in all the major cruise ports and shops and stalls operated by local artisans and craftsmen. There are also bars, cafés and restaurants mixed in with the shops. 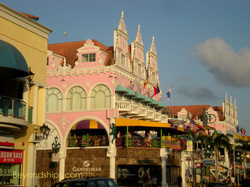 ﻿Left: Market stands across from the cruise port. In among the hotels and resorts along the southern and western coasts are more shops and restaurants. 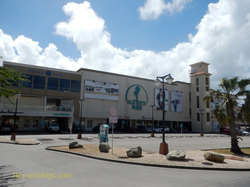 On the west coast by Palm Beach is a series of up-market malls including the Paseo Herenica Mall (left) and the Palm Beach Mall (above). 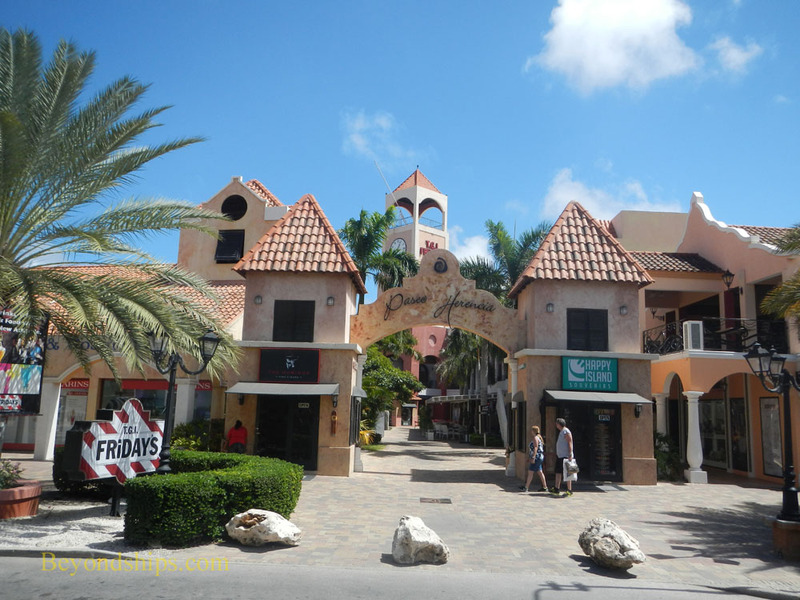 Also in this area you will find venues operated by internationally known brands such as Starbucks, Hard Rock Cafe and Senor Frog. The currency on the island is the Arubian florin. Some vendors will accept U.S. dollars as well. Major credit cards are widely accepted.